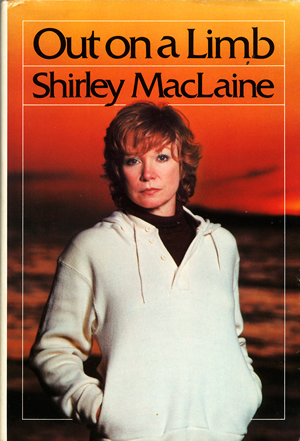 My first job as Shirley MacLaine’s editor was to help her answer a major conceptual question – whether she should write her book as a novel or as a non-fiction memoir, like her first two books, both of which had been New York Times bestsellers. Her previous editor at another publishing house had told Shirley that if she wrote a memoir about how she channeled aliens from outer space, or about remembered past lives during her spiritual quest from Malibu to Machu-Pichu Peru, it would ruin her career. So Shirley had written a 600-page fictionalized version of her life, changing to the story of a man who had weird experiences. As her new editor at Bantam Books, I had a different opinion. The stories she told me of her experiences, whether they were believable literally or not, were fascinating. The novel she was writing was artificial and contrived. It wasn’t her authentic narrative voice. So I asked to drop the mask of fiction, and tell the story as a non-fiction memoir. Ultimately the revised version became so long that two books were published from the one huge manuscript: Out on a Limb and Dancers on the Shore, both which became New York Times bestsellers. Shirley was focused, direct, professional and hard working. She wrote every word of a very long manuscript herself, never missed a deadline, sought my help frequently with long meetings at her NYC apartment on East Side’s Sutton Place, and phone calls from the west coast when she needed it, totally knew what she was doing, and always took good advice. She agreed to cut, for example, the 30 pages about her relationship with me, in which she claimed I had been her mother in a past life. For a few years after these two books were published. Shirley toured the country speaking to large audiences about her supernatural, spiritual experiences.